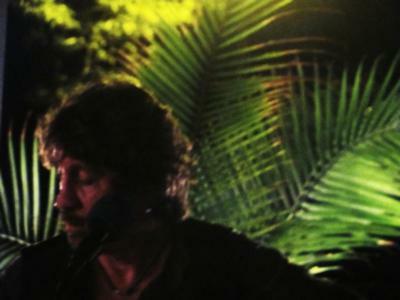 Kenny is a solo acoustic guitarist and singer/songwriter from Liverpool, England. Kenny has played music all over the world - from parties/restaurants in Liverpool and London to the South of France to the Caribbean where he also worked on Yachts and played music for guests. His acoustic music of classic rock/contemporary folk, unique voice, fingerpicking guitar style is reminiscent of Paul Simon and James Taylor and sounds like two guitars! 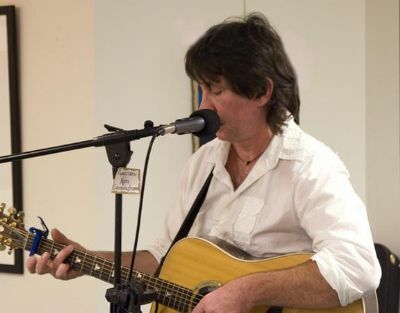 He often (when requested) provides a coffee house atmosphere with stories and audience participation delighting guests with much more than great musicianship. Kenny plays weddings (including music learned at the request of clients as well as instrumentals for ceremonies), anniversaries, corporate events, art shows, outdoor festivals, Irish Taverns, restaurants and solo Beatles Tribute regularly from Baltimore's Inner Harbor to the NJ State fair, senior events, library shows in NF and beyond. In Meyersville, NJ restaurant pub owner Cheryl has said, "He has something for everybody". Great performance, and over all fantastic to work with. Our Clients loved him. Amazing! Just wonderful. Kenny arrived early and ready to setup, we had the ceremony outside and it was raining when Kenny arrived and he was so flexible about where to set up and possibly having to make last minute changes. As I was walking from the house where we got ready, over to the ceremony I started to hear the beautiful sounds of the guitar and it brought tears to my eyes. We asked Kenny to play the wedding song he has in is lits of songs, it was perfect! So beautiful and just perfect. It was more than my husband and I could have ever hoped for! You will not be disappointed if you have Kenny at your event. Kenny was amazing. He came out to our venue, which was out doors, along the side of the road next to a historic covered bridge during the snow storm, and while things were running a little behind, he entertained us with music. He catered to our two requested songs, then when the ceremony was over and we took pictures, he kept playing great music and played until the allotted time was reached and then even joined for a few pictures. Everyone loved the music and it came out so well in the video too. Highly recommend if you are looking for someone who is not only punctual, but a very talented and entertaining musician. My entire experience working with Kenny and his assistant, Eva, was absolutely wonderful. Leading up to my wedding I worked solely with Eva. She was extremely helpful and made everything very easy, especially when I was in FL trying to plan for an event in PA. Meeting both of them on the day of was such a joy. They are very accommodating and Kenny is extremely talented. I listened to so many other guitarists' samples online and just wasn't impressed. Then I found Kenny and knew I had to have him! I'm so glad I found him. Everyone at the wedding complimented on how talented Kenny was. Do not go with anyone else. Hire Kenny! Kenny was fantastic to work with. He learned new songs just for my event, and all my guests loved him. His assistant Eva was a dream to work with, always emailing my back right away and helping me with all my requests. A great experience. This was our second time hiring Kenny to play our private party. We have hired other musicians through GigMasters but deciding on Kenny again was an easy choice. From the start of the booking through the completion of the gig, he and his manager make everything stress free. He is very talented, with a great repetoire. As before, on Kenny's behalf we had lots of compliments and 'where did you find hims'! If you hire Kenny you will not be disappointed. Our group thought that Kenny was the best entertainer we've ever had perform during our holiday party, which has been held each year for ten years. Kenny performed secular holiday music as well as popular songs. He also shared stories about his interactions with an array of internationally known performers. Finally, Kenny played and sang tunes that audience members requested and encouraged them to sing along. The community indicated interest in having Kenny return next year for the party. 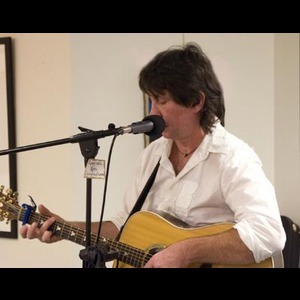 Please note Kenny Cunningham/Acoustic English Guitarist/Singer will also travel to Langhorne, Trevose, Bensalem, Bryn Athyn, Feasterville Trevose, Huntingdon Valley, Beverly, Croydon, Holland, Abington, Cheltenham, Jenkintown, Levittown, Riverside, Riverton, Bristol, Elkins Park, Hatboro, Palmyra, Richboro, Warminster, Willow Grove, Wyncote, Burlington, Glenside, Willingboro, Dresher, Fairless Hills, Horsham, Moorestown.